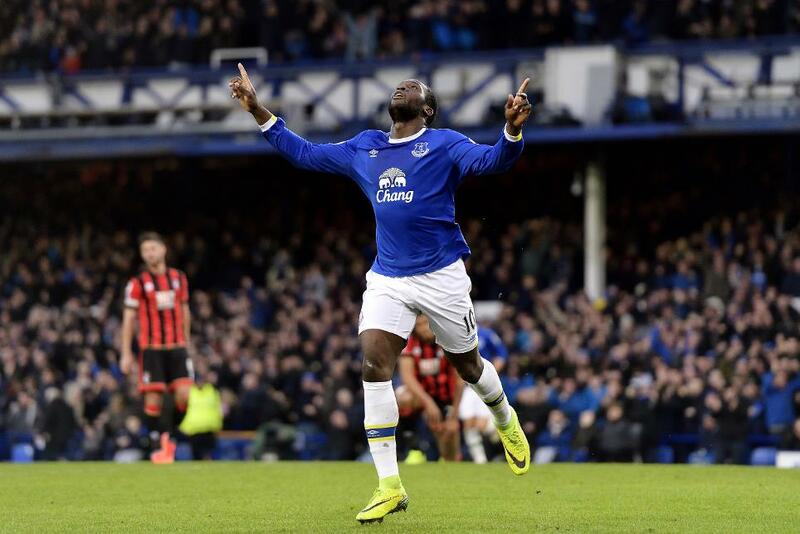 A Goodison Park meeting with former club West Bromwich Albion boosts Romelu Lukaku's (£10.1m) Fantasy Premier League captaincy credentials for Gameweek 28. Subject to more than 191,000 transfers ahead of Saturday's 2pm deadline, the Toffees' 18-goal striker is only one short of his most prolific Premier League campaign. Scoring in his last four home outings, notching seven goals, he will collide with a Baggies defence that have conceded in 12 successive away matches and boast only a single shutout on their travels all season. Liverpool front three Sadio Mane (£9.6m), Roberto Firmino (£8.5m) and Philippe Coutinho (£8.2m) provide Lukaku's main challengers for the armband. The trio will entertain Burnley on Sunday, with Sean Dyche's men arriving at Anfield having allowed more shots on goal than any other side (502) this season and with only a single clean sheet on the road. Snapped up by over 190,000 FPL managers after grabbing a goal and assist in last week's 3-1 home win over Arsenal, Mane's average of 6.1 points per match betters any Liverpool team-mate. Firmino also registered a goal and assist against the Gunners to serve up a 12-point haul in Gameweek 27 - like Mane, he has delivered double-digits on five occasions at Anfield. Despite producing only one goal since returning from injury in Gameweek 21, Coutinho cannot be overlooked - he has fired more shots (20) than any other Premier League player over the last four rounds of fixtures as he goes in search of a first goal at Anfield since Gameweek 11. Elsewhere, Josh King (£5.5m) will provide AFC Bournemouth's main goal threat for their Vitality Stadium meeting with West Ham United. Deployed as a central striker in recent matches, the Norwegian has also benefitted from spot-kick duties, scoring five times over the last six Gameweeks. Meanwhile, West Ham will be looking to take advantage of a Cherries defence that has conceded at least twice in seven of the last eight Gameweeks. Manuel Lanzini (£6.4m) has three goals and as many assists in his last six starts, while Michail Antonio (£6.9m) returns from suspension and has already produced double-figures against Eddie Howe’s side earlier in the season. The aerial threat of Andy Carroll (£6.2m) also looks a key weapon, with AFC Bournemouth allowing 11 headed goals this term, more than any other side. Another target man, Swansea City's Fernando Llorente (£6.5m), remains the most signed asset ahead of Saturday's deadline after scoring twice in a 3-2 win over Burnley. Acquired by over 203,000 FPL managers since last weekend's brace, the Spaniard has netted five times in the last six Gameweeks ahead of a meeting with a Hull City side that has faced 158 shots on target - only bottom club Sunderland have allowed more. Swans' playmaker Gylfi Sigurdsson (£7.7m) has emerged as one of the most consistent FPL assets around since the arrival of new head coach Paul Clement, with a goal or assist in seven of his last eight Gamweeks. Sigurdsson's delivery has helped Clement's side score 12 goals from set-piece this season - only West Brom (16) and West Ham (14) have managed more. The Icelander's dead-ball supply could again be a major factor, inspiring yet another points return from Saturday's clash.